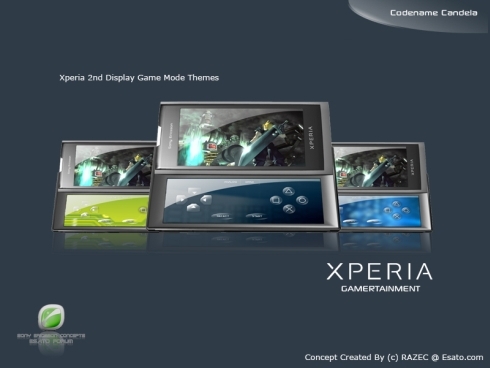 Esato board user razec has surpassed himself yet again and you are certainly familiar with the XPERIA Candela concept phone. Well, now it has been finalized, so you can check it out below and there’s an impressive specs list to have a look at, as well. 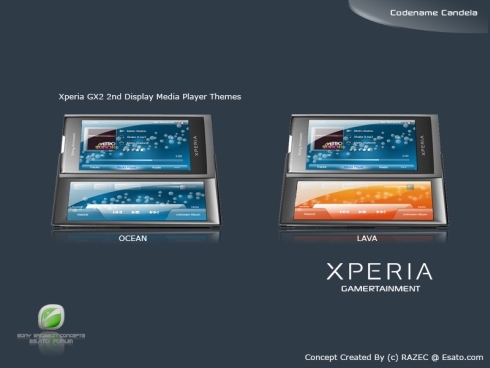 Razec’s splendid XPERIA Candela concept packs a capacitive touchscreen display, a 12 megapixel CCD camera with 720p HD video capture and the ability to record videos at 300 FPS. This handset also comes with BRAVIA technology, since it’s the first phone to incorporate a RGB LED display taken directly from the BRAVIA TVs. This screen sports a 1,000,000: 1 contrast ratio and a 852 x 480 pixels resolution @ 16:9. Android 2.0 OS runs the show on the device, in its fully customized version and in case you’re wondering, there’s no physical keyboard on this device, but rather a virtual one, thanks to another capacitive display. 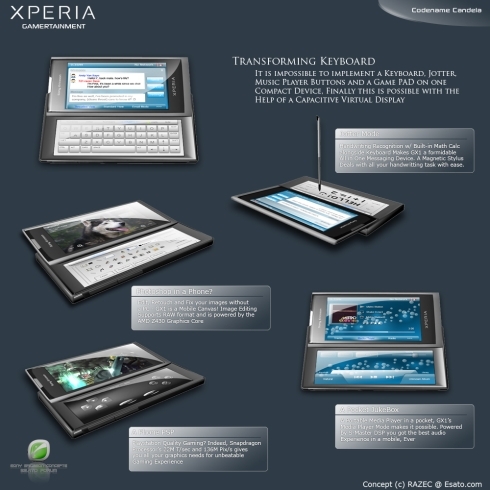 Said secondary capacitive display will play the role of a keyboard, jotter, music player buttons and a virtual game pad. It also comes with handwriting recognition, a math calculator and a magnetic stylus. 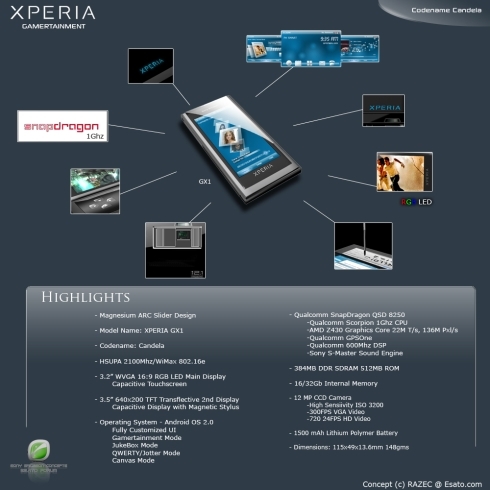 Sony Ericsson XPERIA Candela even supports Photoshop, thanks to an AMD Z430 graphics core, while gaming is handled with the aid of a Snapdragon processor, that supports 22M T/sec and 136M Pix/s, for a PlayStation-like experience. As if these specs weren’t enough, the list is completed by a magnesium arc slider design, HSUPA 2100 MHz/ WiMAX 802.16e connectivity, a Jukebox mode, 384MB DDR SDRAM, 512MB ROM, 16/32GB internal memory and a 1500 mAh Lithium Polymer battery. 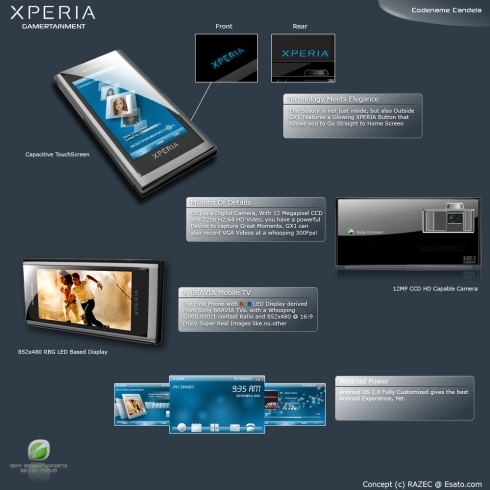 I am officially in love with this phone and frankly it’s hard to believe that we’ll see a more attractive XPERIA concept in 2009. Slider Ultra Mobile Computer, a Portable Powerhouse Nokia Erdos 8800 is Leaked, Concept… Gone?